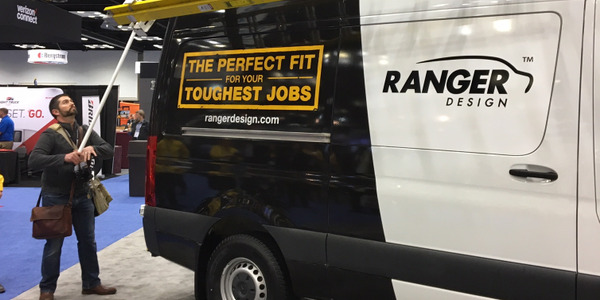 Full-size cargo vans that once dominated the commercial van market have given way to a new generation of work vans that get the same job done with better fuel economy, interior comfort and more appealing body styling. Among these next-generation vans, a new category has emerged with arguably the hottest growth prospects among commercial vehicles — the compact cargo van. A staple in other parts of the world, these vans didn’t exist in North America prior to Ford’s introduction of the Transit Connect in late 2009 as a 2010 model-year vehicle. Four compact cargo vans will battle for market share in 2015, including the Chevrolet City Express and Ram ProMaster City. These new entries join the Transit Connect and Nissan’s NV200, which together accounted for about 53,000 units sold in 2013. The new compact vans arrive alongside their new or redesigned European-sourced big brothers, which include Ford Transit, Ram ProMaster and Mercedes Sprinter. The full-size van market is undergoing its own transformation toward European-sourced commercial vans, and Mercedes-Benz has announced plans to bring its Vito mid-size van to the U.S. market. 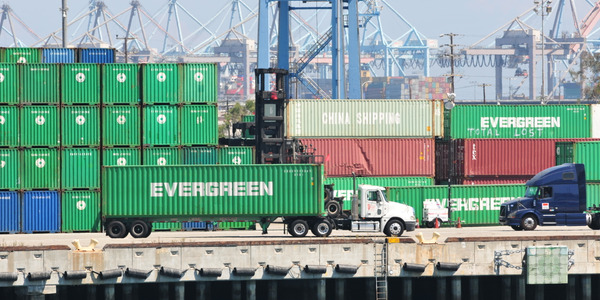 The compact cargo van can be considered the product of the Great Recession, when fuel prices rose above $4 per gallon and capital to finance higher-priced vehicles was much harder to come by. Fleets of all sizes turned to the Transit Connect despite its quirky look mostly because it provided 25 mpg highway, 22 mpg city and 23 mpg combined. At the time, Otis Elevator Co.’s Phil Schreiber also saw the van as a way to streamline his company’s service operation by removing rarely used tools and parts from his drivers’ vehicles. Prior to right-sizing, Otis’ full-size vans were lucky to get 13 mpg per day. Schreiber began replacing his lower-mileage vans with Transit Connects, and after three years he had converted about 60 percent of his van fleet to compact vans. 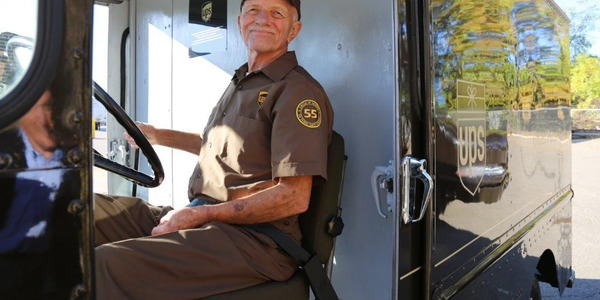 He now runs about 850-900 Transit Connects and about 600 full-size vans. 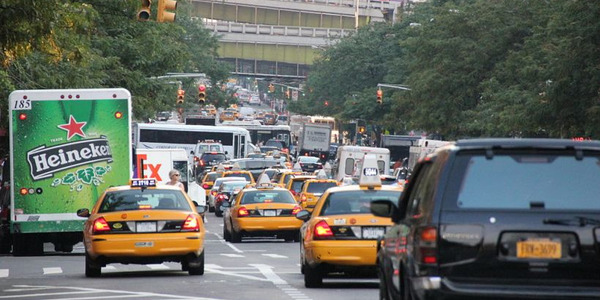 He estimates his fleet is using 500,000 gallons less in fuel each year. The Farmington, Conn.-based Otis is now buying regular unleaded at $3.68 per gallon, meaning Schreiber is now saving about $1.84 million a year. The upfront savings can also be significant, as the Transit Connect costs $23,000 or about $6,000 less than a full-size E-150 in retail pricing. The other compact vans fall into a similar range. The NV200 retails for $20,490, while the Chevrolet City Express starts at $22,950. ProMaster City pricing hasn’t been announced. 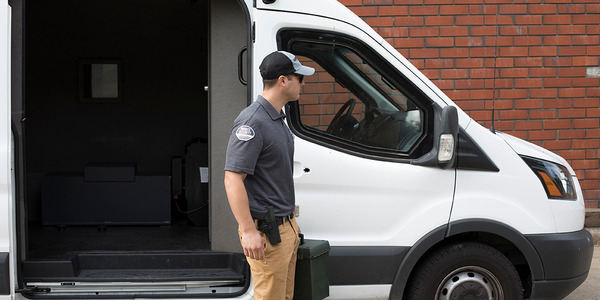 Large commercial fleets including The ADT Corp., AT&T and Tyco International have also added large numbers of compact vans to their fleets to realize this cost savings. With better fuel economy and higher resale values, the total-cost-of-ownership (TCO) factor offers large fleets a substantial savings, says Ramzi Kort, a Ford assistant brand manager representing the Transit Connect. 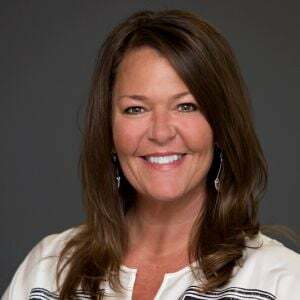 AT&T now operates more than 2,500 compact vans that helped the company achieve a double-digit improvement in fuel consumption, said Jerome Webber, the company's vice president of global fleet and transportation management. "The use of compact vans was a decision that made sense for our business," said Webber. "When we launched our Leaner, Cleaner, Smarter strategy we began to think differently about our fleet needs. In developing LCS, we didn’t simply choose to look at the strengths and opportunities within the legacy operating models and pick our favorites. Instead, our LCS sustainability approach came from throwing out preconceived notions and assumptions and starting from the ground up with a fit-to-function approach in assessing vehicle utilization." Smaller fleet operators have arrived in the segment in droves, manufacturers told Business Fleet. 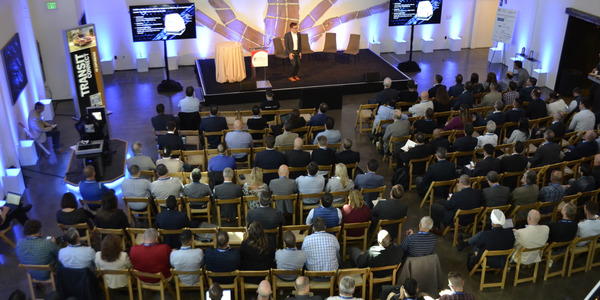 Smaller fleets are seen as the segment’s growth engine moving forward, says Peter Bedrosian, Nissan’s senior manager of product planning for commercial vehicles. Growth projections for the segment among manufacturers range from 80,000 per year to 120,000 per year. 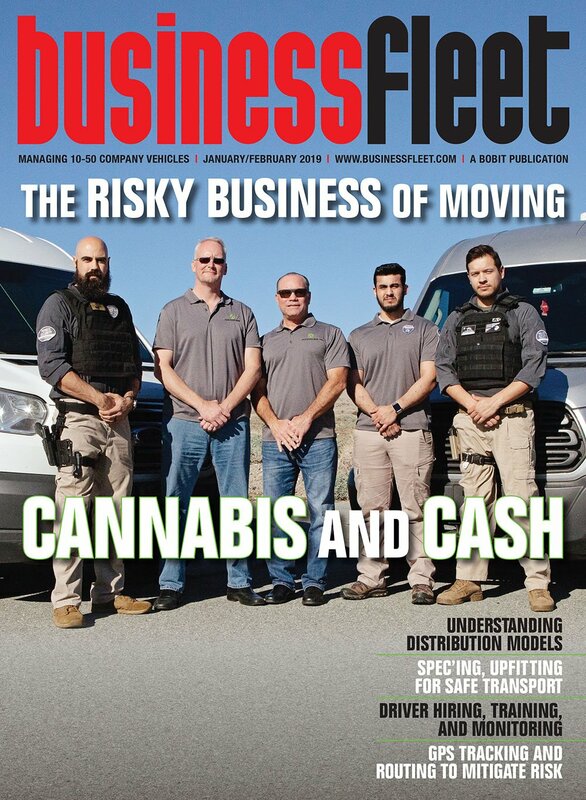 Smaller fleets and owner-operators polled by Bedrosian have said compact vans give them “the right tool for the right job.” Several smaller business owners who have been using sedans told Nissan they plan to switch to the NV200 to deliver small goods as a way to grow their business by making more stops. The NV200 is also offered as a taxi model. Nissan introduced the NV200 as a 2013-MY vehicle that was spotted by General Motors as an opportunity to grow its own compact-van business with its network of more than 3,000 Chevrolet dealerships, including 500 Business Elite dealers. General Motors later made an agreement to source the van from Nissan and introduce a slightly reworked version as the 2015 Chevrolet City Express. Ed Peper, U.S. vice president for GM Fleet & Commercial, views compact van growth as an expansive move rather than eating into full-size van market share. New compact van users could include insurance adjusters, florists, bakeries, auto parts businesses and pharmacies. Construction trades may also come aboard, such as plumbers, carpenters, electricians, and locksmiths. 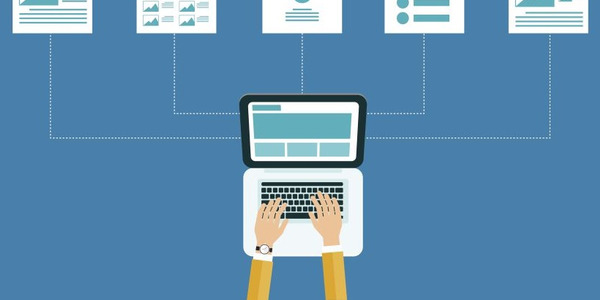 Business services users could include IT support at home, interior designers, and security companies. The City Express isn’t an exact replica of the NV200. Chevrolet has redesigned the vehicle from the A-pillar forward, and the automaker is also offering an optional window kit for the side sliding doors to improve visibility. The vehicle will arrive in the fourth quarter. The Ram ProMaster City is another new entry to the category. It will arrive in early 2015 and eventually replace the Ram C/V Tradesman, which essentially replaced the market for the cargo Grand Caravan. The vehicle is a U.S. version of the Fiat Doblo offered in Europe. The ProMaster City is offering the first nine-speed transmission in the van segment and a cargo volume of 131.7 cubic feet, which is now best in class. The compact van will be offered in a cargo and wagon model and may have retail aspirations for weekend recreational use with its more stylish exterior some have likened to a Kia Soul. 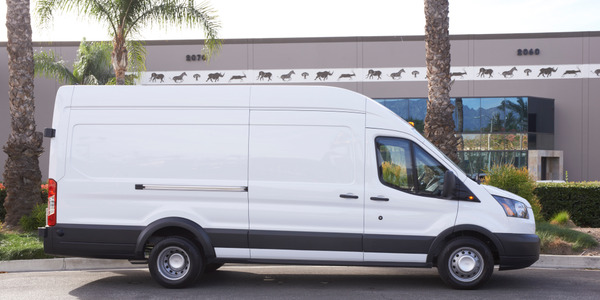 Ford has also taken note of body styling and redesigned its Transit Connect cargo and wagon models for the 2014 model year. The company that invented the segment shifted production of its Transit Connect vans to Spain from Turkey in September of 2013. Ford has been producing the van in Europe since 2002. The van is now being built at Ford’s Valencia plant on the C platform that is also used for the Kuga — the European Escape compact SUV. 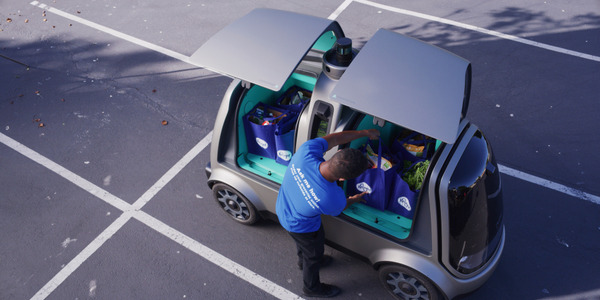 The Transit Connect has been adopted by both large and small fleets, and serves as an ideal platform for smaller businesses. In addition to its other benefits, the van offers smaller fleets a blank canvas for marketing their services, says Ford’s Kort. Kort agrees that smaller fleets represent the best growth opportunity for compact vans due to the vehicle’s versatility and functionality to accept various upfit configurations.